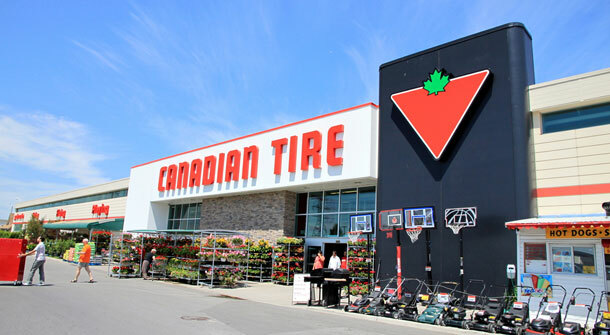 Canadian Tire is expanding its ‘Canadian Tire Money’ program to more stores through the company’s new Triangle Rewards program. Canadian Tire Money has been around since 1958 and has issued out over $1 billion CAD. Starting soon, the program will let users earn and redeem Canadian Tire money at Sport Check, Mark’s and Atmosphere stores. Launching alongside this program is a new Triangle Rewards Mastercard that also gives users a few more rewards such as three percent back in Canadian Tire money on groceries, five cents back per litre on gas at Canadian Tire Gas Bars and more. Triangle Rewards members will also benefit from no receipt returns and personalized offers. Current My Canadian Tire Money program members and Options Mastercard holders will automatically be switched over to the Triangle Program when it fully launches later in the spring. Paper Canadian Tire money will continue to be available in Canadian Tire stores and will be provided to customers who pay with cash.